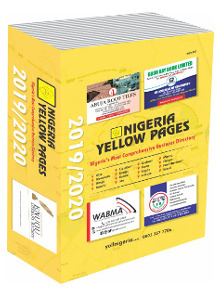 Nigeria Yellow Pages® is the nation’s authoritative business and government directory published as a means of promoting commerce, investment and tourism in Nigeria. The 2019/2020 edition of the directory has business information on 16 Nigerian cities: Aba, Abeaokuta, Abuja, Bauchi Calabar, Enugu, Ibadan Jos, Kaduna, Kano, Lagos, Lokoja, Minna, Owerri, Port Harcourt, and Warri. 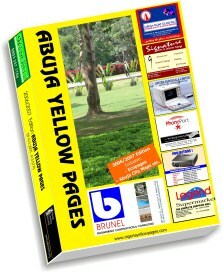 The ultimate target of the publication is to have businesses in every city in Nigeria listed in the yellow pages. First published in 1994, the Abuja Yellow Pages® is a rich and diverse directory offering a large and updated listing of businesses in Abuja and highlighting investment, raw materials and tourism opportunities of Nigeria’s capital city. Distribution of the directory is at cost and it is through our already established network: all listed businesses, airports, embassies, NGOs, Nigerian Trade Missions, banks, hotels, Ministries and Parastatals, travel & tours agencies, libraries, Trade Fairs/Exhibitions, subscribers and our overseas offices, among others. 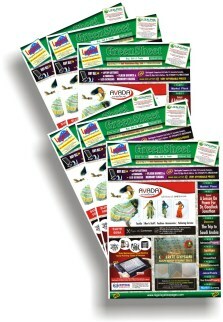 GreenSheet® is a low cost monthly advert paper for your products and services published in Abuja, Nigeria. It is a platform for buying, selling and trading. It is a medium through which you can advertise those personal items such as: Office equipment, Furniture, Electronics, Household equipment, Computers & Internet Services, Clothes, Cars, Property, Stationery, Entertainment products/services, and other services. Individuals also publicize their change of Names, Loss & found items, upcoming events, etc. Published since 2001, GreenSheet is the first free paper inAbuja. 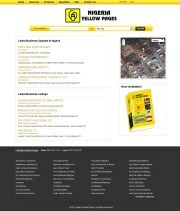 It is the web version of Nigeria Yellow Pages® available on www.yellng.com. All that is in the print edition of the publication is also available on this online directory. The search functionality is such that users can search according to cities and the usual search by categories of businesses. This online version is in responds to numerous requests in the past asking for this platform. The site is dynamic and offers advertising opportunities that link products and services of companies to the global audience. © 2019 Yell Publishers Nigeria Limited. All Rights Reserved.